Choose one of the ready-made shadow options. To customize it, use the other settings on this window (see below). 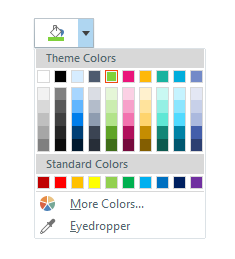 Use the Color selector to choose from the available Theme Colors and Standard Colors. 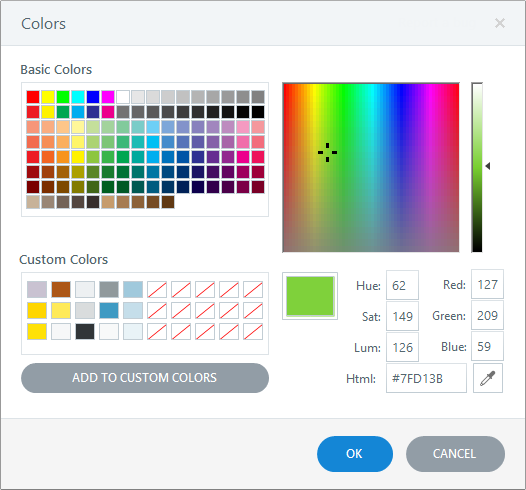 (Learn how to customize theme colors.) To pick a color from anything visible on your screen, click Eyedropper, then click the color you want to match. 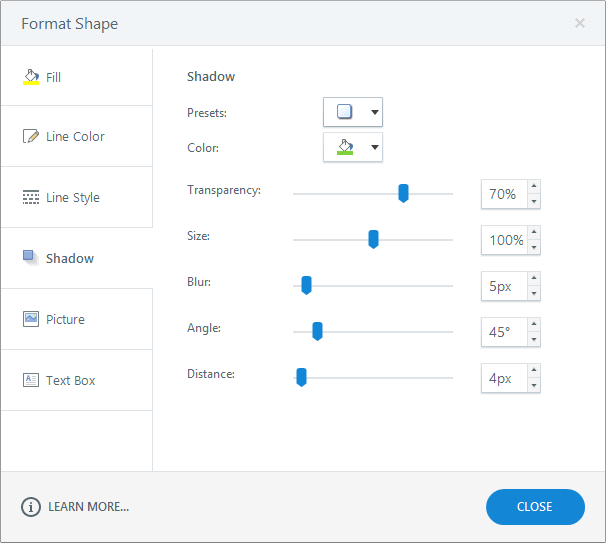 Drag the slider or enter a specific value for any of these properties to adjust the appearance of the shadow.